Looking for Fleet Cleaning in Madisonville, Louisiana? Professional power washing maintains vehicles, equipment, properties and structures in peak condition, and Madisonville businesses need trained experts to get this job done. BCG Management stands above the competition with qualified fleet cleaning in Madisonville, LA provided by the best technicians in the business. Our mobile service vehicles come to you, promptly and reliably. With a service area covering all of Madisonville, LA, BCG Management provides truck washing and pressure washing for owner-operators, small businesses and massive fleets of cars, trucks, and industrial vehicles. Our crews are fully equipped to handle any fleet cleaning project in the area, with waste-water recovery systems, solutions and tools that follow current EPA guidelines and get your job done. Besides reliable service, why do Madisonville companies hire BCG Management for fleet cleaning services? 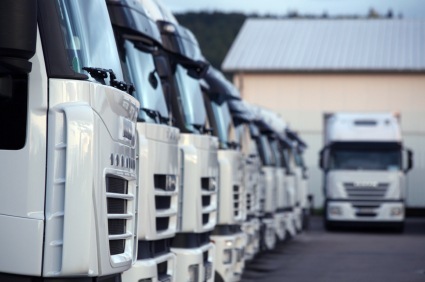 Our affordable rates make it easy for Madisonville clients to maintain their fleet vehicles and equipment and create a safe, clean warehouse, loading dock or job site. BCG Management provides value to each and every Madisonville customer, from rush cleaning jobs to scheduled maintenance visits and everything in between. BCG Management technicians are trained to handle all levels of fleet cleaning equipment, leaving your equipment and lot spotless. Equipped with various detergents, cleaning agents, brushes and rinses, BCG Management staff have the knowledge and tools to tackle any type and amount of grime, dirt, oil, gum, tar, grease and even graffiti. We’ve been making Madisonville vehicles shine since 1999, working with local clients in a wide range of cleaning projects. Call BCG Management when you need reliable, professional fleet power washing at affordable prices in Madisonville. Our experienced Madisonville pressure washing technicians are ready to make you and your fleet shine. Large or small, we make you look great! Call BCG Management at (504) 224-6234 today for more details.